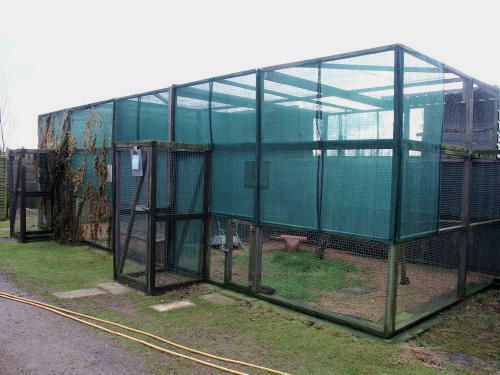 Pictured right is an example of the aviaries we use for the final stage of birds rehabilitation. Once their treatments are all finished, birds need to spend at least a week in an aviary to build up their muscles and strength before they can be released back to the wild. The green netting and camouflage nets we use on some aviaries help to shield the birds from seeing the staff working around them and therefore they reduce stress. 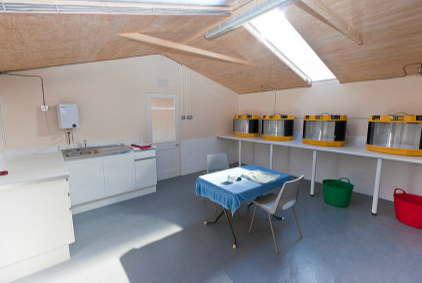 To the right – our Hedgehog Unit, built in 2012 with funding from The Lilian Andrews Charitable Trust. 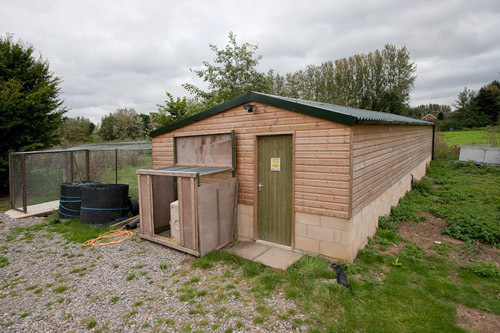 This unit will accommodate over 120 hedgehogs and can also be used for other animals. During the winter months we regularly care for over 200 hogs for the entire winter. We call these (left) our Badger Pens although they are also used for foxes, deer and otters too from time to time. 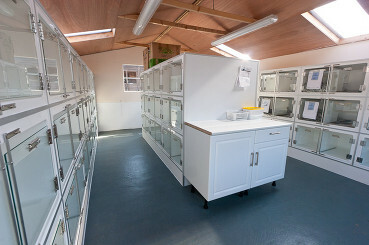 There are four enclosures inside, each with an infra-red heat light and they all have access out into grassed paddocks. They are great for fox cubs once they are big enough to leave our Rearing Unit and they are away from the hustle and bustle of the hospital building so it minimises the risk of the cubs becoming imprinted. 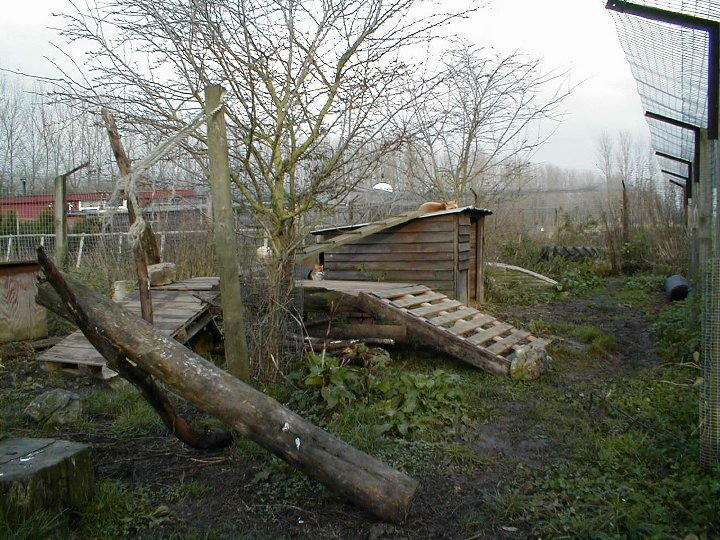 Left – one of our fox pens. We have two of these large enclosures for foxes and badgers in their final stage of rehabilitation, prior to release back into the wild. Another, larger pen is used for fox cubs, away from people, until they are ready for release in July or August. 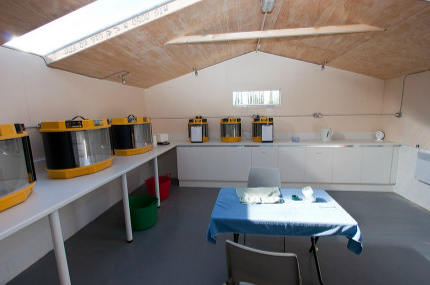 Below – our Mammal Rearing Unit, well away from the main hustle and bustle of the wildlife hospital. Mainly used for fox and badger cubs, only one or two members of staff tends to this building and no talking is allowed inside it. This is to help to minimise the risk of imprinting, as an imprinted animal is a non-releasable animal.